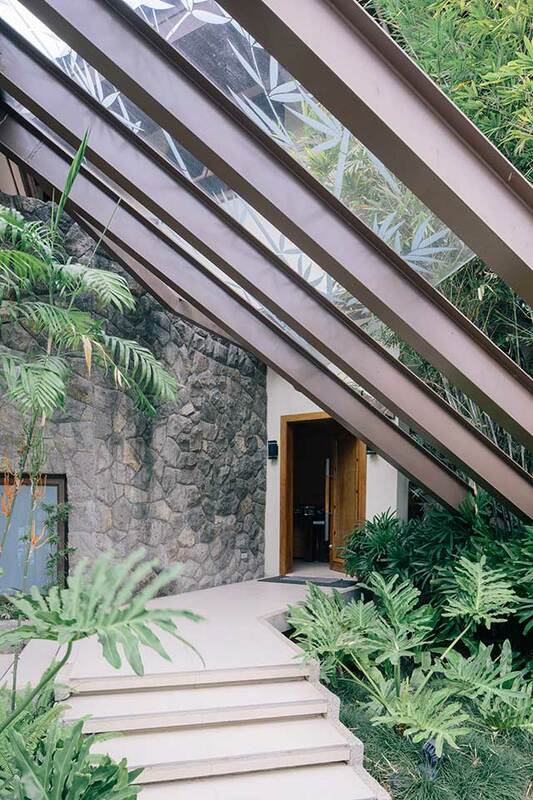 Creating green structures is not just about setting your home apart from other homes—more than that, it is a responsibility. 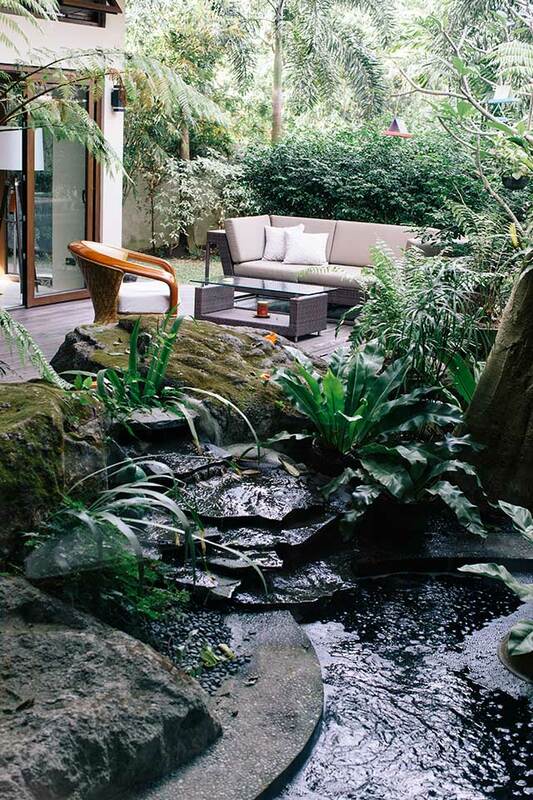 Recently, architects and designers have been coming up with ingenious ways to make a home beautiful but eco-friendly. 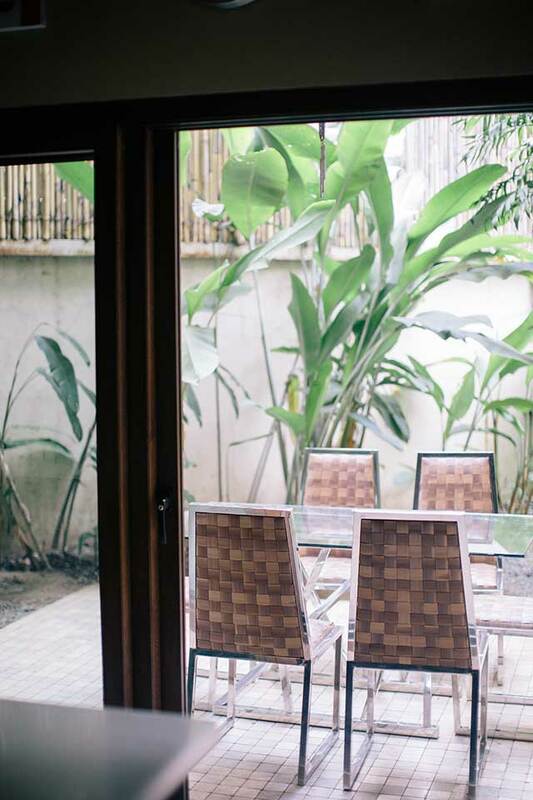 Most of the time, however, it is about going back to basics, where the principles of building a bahay kubo are the same as a green home that suits our country’s tropical climate. 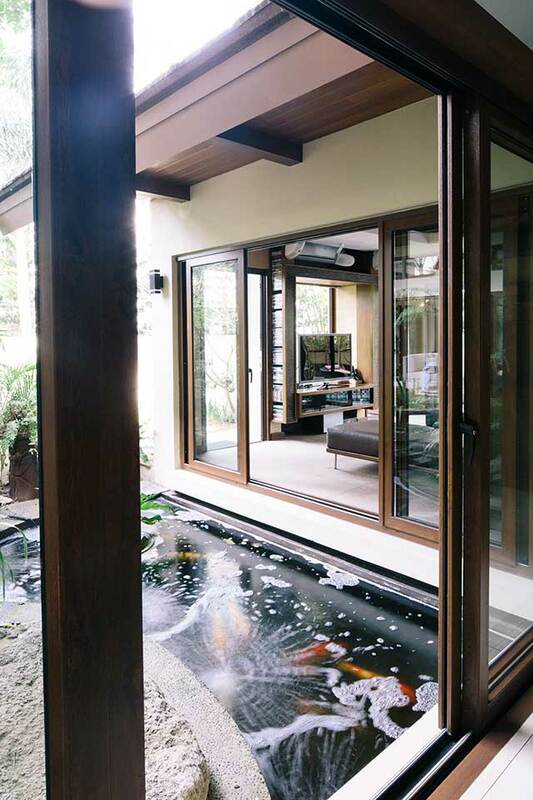 Such is the house of architect Gelo Mañosa. 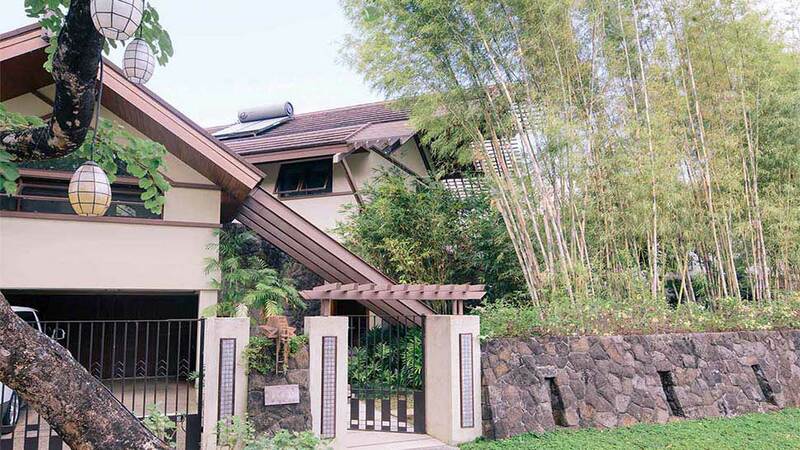 At first glance, the similarity to the bahay kubo is apparent, with its triangular roof awnings that serve as sunshades, and even the abundance of plants around it. 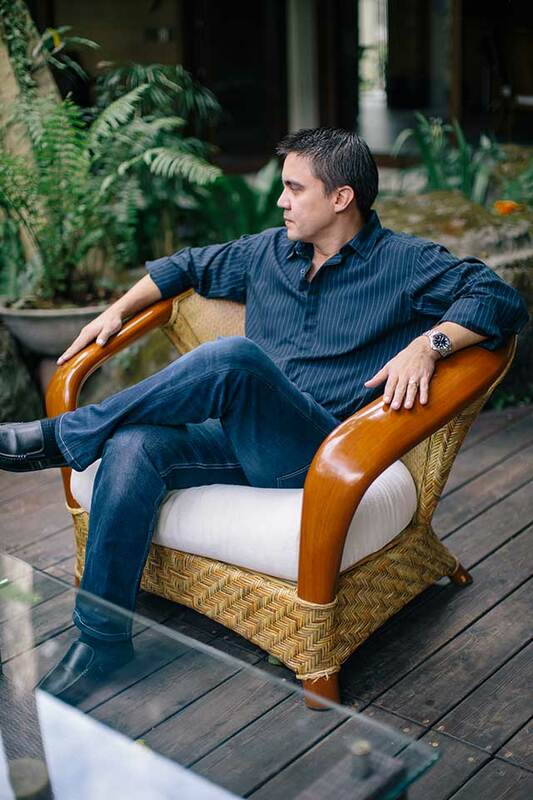 Gelo, who is the son of influential architect Francisco “Bobby” Mañosa—one of the first Filipino architects to incorporate traditional bahay kubo principles such as lightweight, native materials, raised ceilings, and cross ventilation into modern designs—regularly practices his father’s principles in his projects, most especially in his own home. Gelo oriented his house on an oblique angle to let more air in. Araal stones are used for the wall and front porch, which were done by an Ifugao builder—it is believed the Ifugao can create very sturdy araal walls, even without the use of cement or grout. 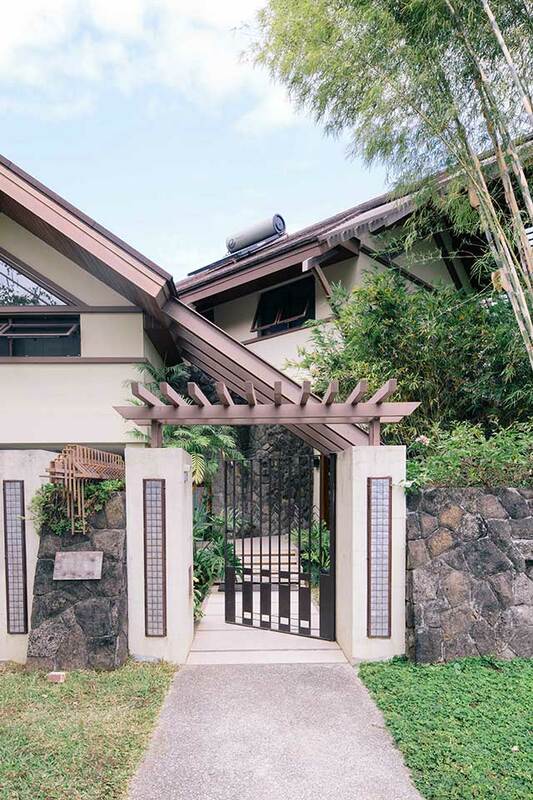 The fence’s posts are accented with capiz panels, a modern Filipino touch. 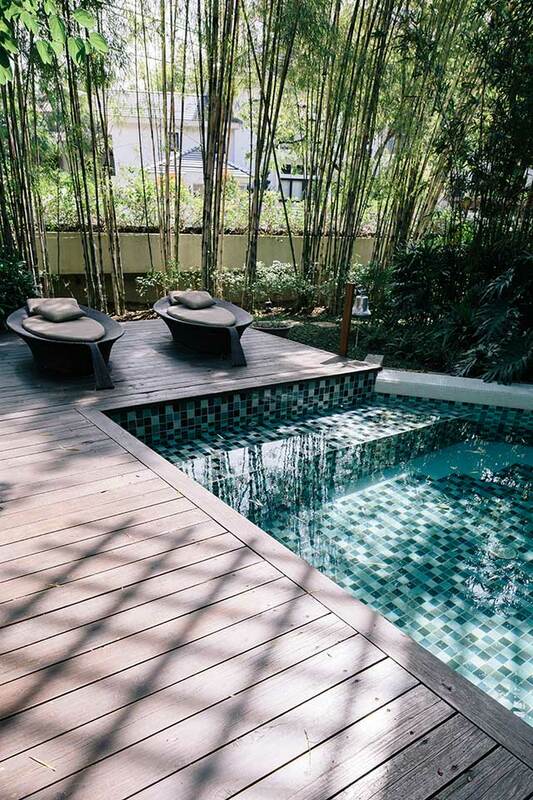 To allude to the ornamental bamboo that surround the home, etched bamboo patterns decorate the glass awning. These patterns cast delicate shadows onto the porch and entry foyer. Almost every room in the house opens to the outdoors, as seen in this al fresco dining area. Western red cedar for the wooden deck of the pool area. 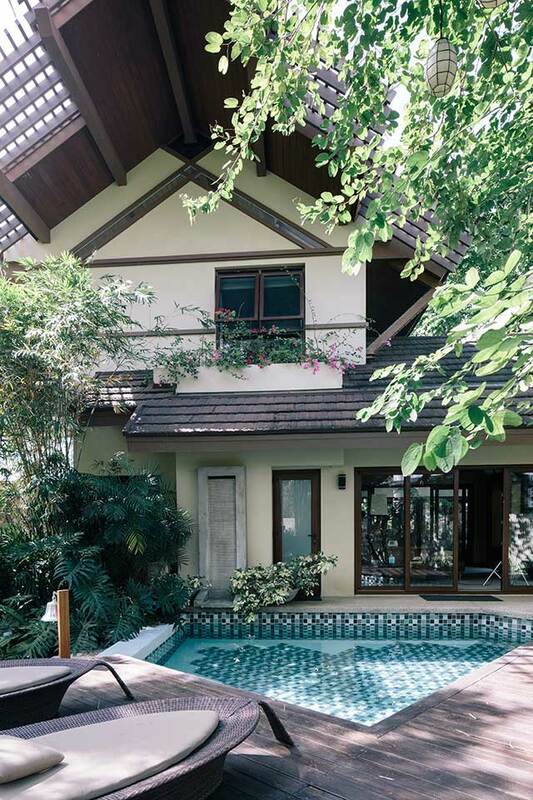 The pool is partially shaded by the eaves of the house, and the trees. This material comes from sustainable forestry, so “…we don’t use wood from trees that were illegally cut,” he stresses. The architect at his outdoor seating area. “Nature is always my favorite place,” he says. You can get a similar chair at Yrezabal & Co.
A koi pond gurgles and trickles just outside the house’s main living areas. Parts of this article appeared in “Paradise In The City” in the April 2014 issue of Real Living magazine. To see the rest of this home, click here.